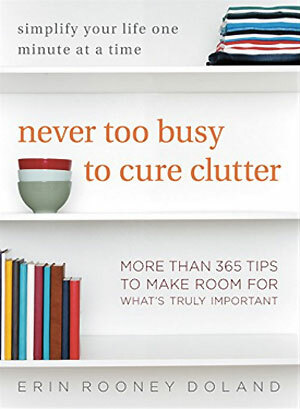 Erin Rooney Doland is author of Never Too Busy to Cure Clutter (2016, William Morrow) and Unclutter Your Life in One Week (2009, Gallery Books). 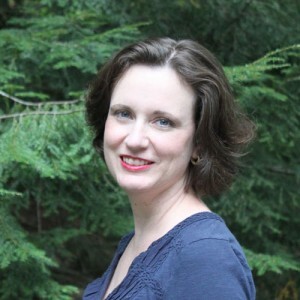 Her hardcover, paperbacks, e-books, and audiobook have sold in the U.S. market and overseas in countries like France, the U.K., the U.A.E., Poland, Russia, and Korea. She also is an essay contributor to the 99U book series Manage Your Day-to-Day (2013, Amazon Publishing). She appears regularly in Real Simple magazine's "Ask the Organizer" column and has contributed to Better Homes and Gardens, Family Circle, Woman's Day, and Martha Stewart Living, among numerous other major media publications. Her books have been featured in The Wall Street Journal, The Washington Post, and USA Today, and she has been profiled in The New York Times. She has been a guest on The Today Show, The Rachael Ray Show, WGN Midday News, Martha Stewart Living Radio, and the CBC and BBC Radio networks. She received her undergraduate degree from the University of Kansas, William Allen White School of Journalism, and her master's degree from Johns Hopkins University. 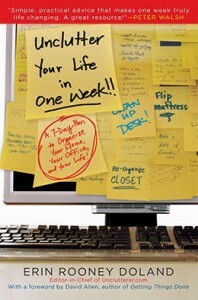 In addition to writing, she is the editor-at-large of Unclutterer.com, a productivity consultant, has a full-time gig with a software company, and is a fiction author (which she publishes under a pen name). She resides in a Northern Virginia suburb outside Washington, D.C. When she's not writing, she's training for triathlons and reading -- always reading.